This week for storytime we channeled our inner musicians for a music themed storytime! This theme was great because there are so many ways to interpret music and of course it meant lots of singing! 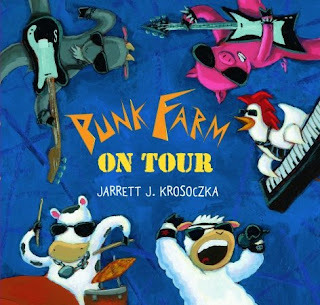 We began with a book called Punk Farm On Tour by Jarrett J. Krozoczka. This books is really great, the farm animals are in a band and go on tour while the farmer is away. The entire time they are looking for their great song and end up singing about the Wheels On The Bus- a very familiar tune for this bunch. The kids really like this because they could sing a long with me and the book. 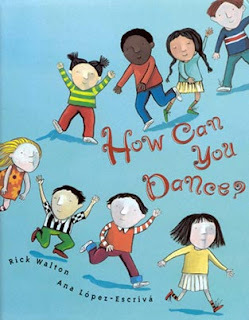 The second book we read was How Can You Dance by Rick Walton and Anna Lopez-Escriva. A music storytime can’t be complete without a book about dancing. This book is a great addition to my storytime book list. I love it because the kids can get up and dance like the animals and situations described in the book. Finally, we closed with This Jazz Man by Karen Ehrhardt illustrated by R.G. Roth. This book is written to the tune of “This Old Man” which makes it really fun to read. It is a very clever book which incorporates counting, music and jazz. Definitely a great addition to this storytime! We didn’t read as many books this week as previous weeks because I did a few flannel boards and we sang a lot of songs. 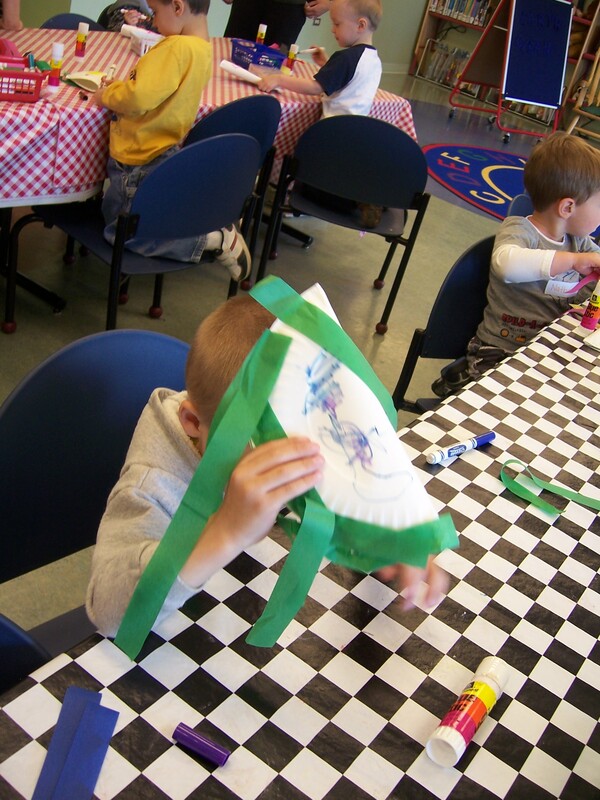 I introduced an “I Know An Old Lady Who Swallowed a Fly” flannel board which was a huge hit with the kids. For craft this week, we made our own musical instruments. We made shakers with paper plates and beans. 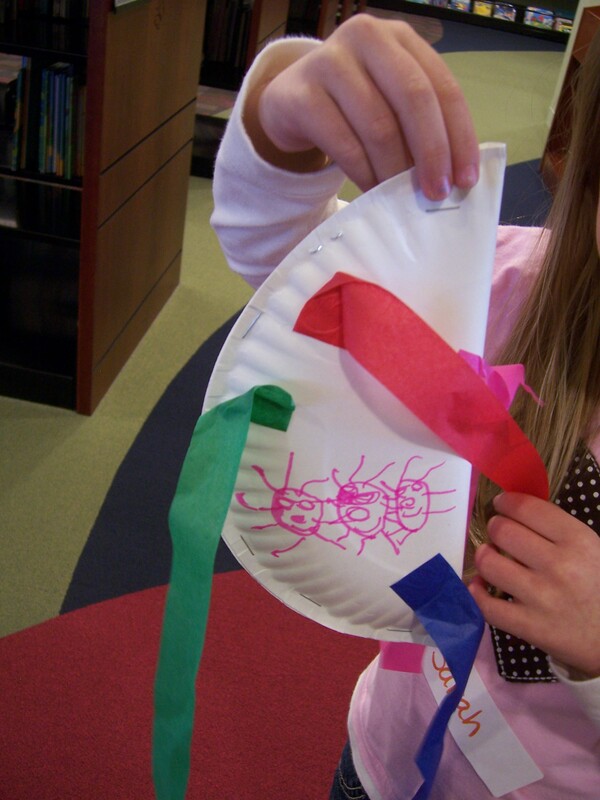 My example craft was taken accidently by one of the kids, so I didn’t get to take a picture of it. Basically, we stapled a paper plate together on one side, threw in some beans (I am sure rice would work too), closed it up, decorated it and added some streamers on the end. They were very awesome and kid friendly to make.